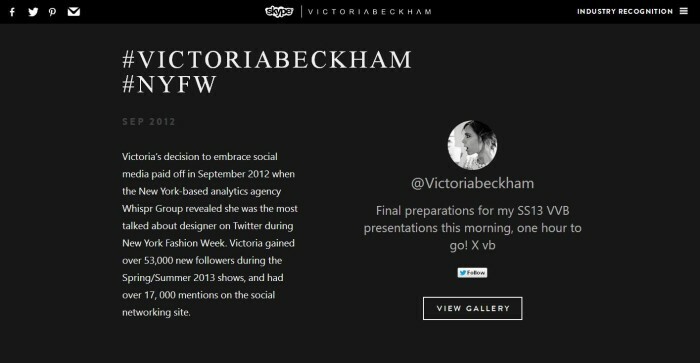 Skype has collaborated with Victoria Beckham to release a documentary sharing her journey into high-end fashion. The interactive editorial is hosted on a microsite and consists of three multimedia heavy chapters. 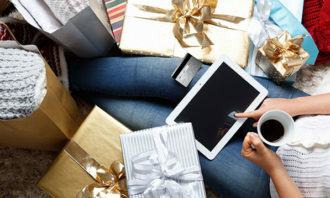 This partnership shows how the fashion and the digital worlds are colliding in order to reach fans and stay relevant. This project is one part of The Skype Collaboration Project, a digital format fashion magazine with video content, interviews and contributions from big names within the industry. The collaborations are aimed at showcasing how the communication tool has assisted and is revolutionising work environments. Beckham, who is currently living in Los Angeles, United States, oversees her team and business in the United Kingdom. "We are in the talent management business, so the toughest thing is dealing with talent," said Jimmy Lim, general manager of PHD M.. In its new campaign, the coffee brand invites passers-by to share the little things that bring them joy on the happiness wall in M..